News | American Anchor | Work Safe. Stay Anchored. There will be some exciting changes happening within the Mid-Atlantic Region of American Anchor. The Mid-Atlantic office is located in Freehold, NJ and its team services the East Coast area from New York to Florida. We are pleased to announce that Bob Zeolla, President of American Anchor, will be managing the New Jersey office directly and the Mid-Atlantic office will continue to service this area. We will be expanding our office and our team to provide an even greater level of custom fall protection services to our customers. For inquiries regarding fall protection system designs, new installations, or repairs, contact Bob Zeolla directly at 800-371-8221 x1 or on his cell phone 617-839-0962. You can also reach him by email at bobz@american-anchor.com. 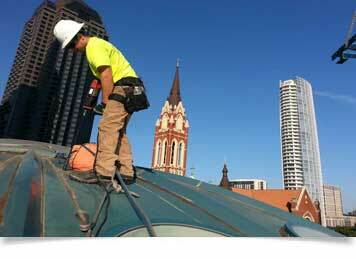 American Anchor looks forward to assisting you with all of your fall protection needs. American Anchor, a longtime XSPlatforms Partner, has recently completed another install for an Ivy League University in Massachusetts. A multi-level roof had no edge protection and was clearly a hazard for workers servicing rooftop equipment. The client looked at a number of solutions. 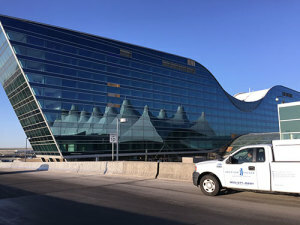 The aesthetics of the fall protection solution was an important consideration since the roof was highly visible for people looking out the windows from the surrounding buildings of the complex. 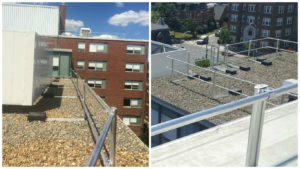 For this reason, the client opted for freestanding aluminum XSGuardrails. Workers-at-height can now use a ladder to move from one roof level to the next level safely. 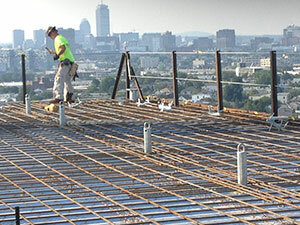 American Anchor’s skilled team of professionals will work with you to evaluate your facility and design a system that meets your needs, satisfies compliance issues, and protects your investment from liability.For more information about custom fall protection solutions, call us at 800-371-8221. 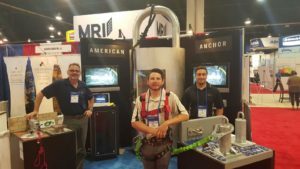 American Anchor brought safety solutions to CRE and OHS Professionals while exhibiting at a major conference on the East Coast this June. American Anchor’s President, Robert Zeolla, and the Corporate Office team exhibited at the BOMA 2016 International Conference and Expo in Washington, DC at booth #1107. For more information about this annual conference, visit http://www.bomaconvention.org/boma2016/public/enter.aspx . The American Anchor team designed the roof anchor system to work in conjunction with a custom-designed davit arm support layout to allow easy and safe access for both swing scaffolds and rope descent systems. 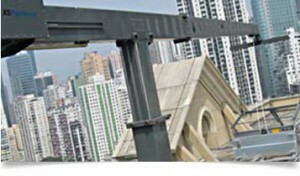 All of the Fall Protection equipment was designed and manufactured in the USA by American Anchor and its partners. American Anchor is announces its newest product line and partnership with XS Platforms. Five Metropolitan US markets are scoring high marks in working safely at heights—especially now that American Anchor has added XSPlatforms solutions to its line of products for working at height. This marks the innovative safety company’s latest expansion into the global market.